Before start selling of iPhone 7 and iPhone 7 plus, Apple released its new iOS 10 on 13th September 2016. Apple made some awesome changes to newer version of iOS. 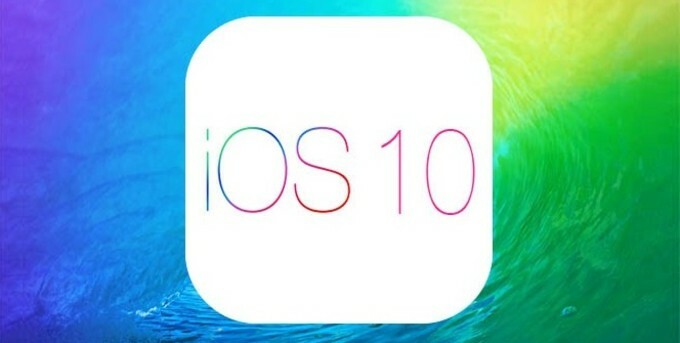 Let's start with some best features of iOS 10. In this new iOS, Apple has made the lock screen more interactive than part versions of iOS. The lock screen not only to display notifications but lets you reply and react to them as well. This feature works for not only Apple apps but also for third party apps. You can reply to WhatsApp notification by pressing down( 3D Touch). You don't need to unlock your phone to make a call to your favorite contact. For that you need to swipe right and it will display new widgets with plenty of stuff. This will also work for third party apps too. Apple lets you to customize your widget area depending support from third party apps. The thing is that these widgets on your lock screen are active. 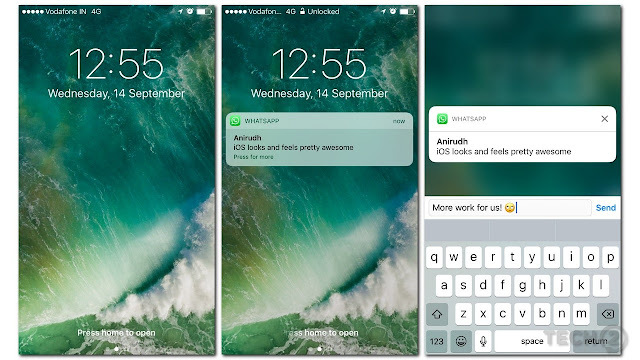 For example the WhatsApp widget will refreshed and shuffling the recent chats. So by just seeing at the widget can tell you who have pinged you. You don't need to go to the app. All of this can be accessed from your lock screen. Siri got the power to access with third party apps. 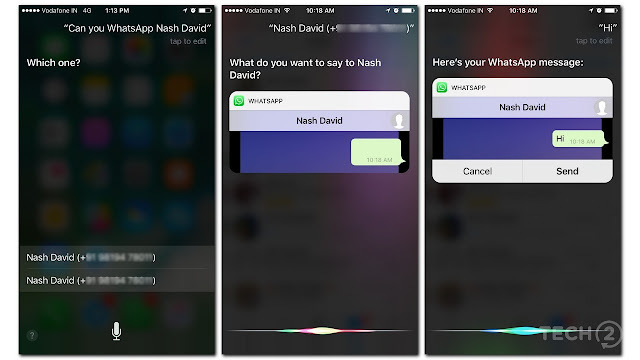 So instead of asking Siri to send text message now you can order Siri to send message to WhatsApp contact without opening WhatsApp. Not only in WhatsApp but this will aslo work with a lost of other apps like Uber and Maps. You can ask Siri to book a cab for you in upcoming Uber app. You can book rides and also can transfer money with the help of Siri. First of all you will have to give Siri access to those apps. As Apple does with the Watch they have implemented this feature for iPhones also. It is basically wakes your phone the moment it thinks your phone has been lifted. This features works for iPhone 6S and in newer. You iPhone wakes up when you pull it out from pocket and pull up from a desk without pressing Home button. Your iPhone's display will turn off instantly when you put it back down without interfacing. With this coolest feature no need to press Home button and of course bye bye "Slide to Unlock". Controlling our home devices is tedious job for all of us. 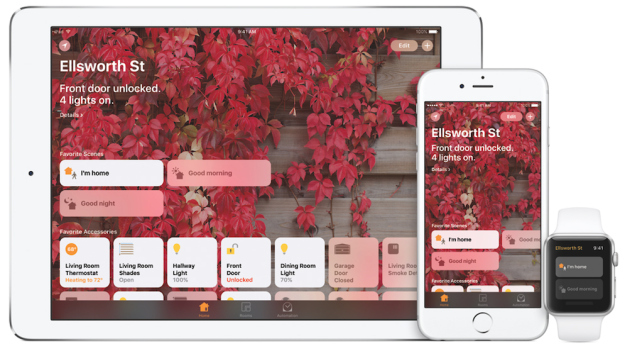 Apple announced an app called Home n this iOS 10 to control smart home products. People will be looking for one place to control them all. Home is built into Control Center to manage smart home devices. 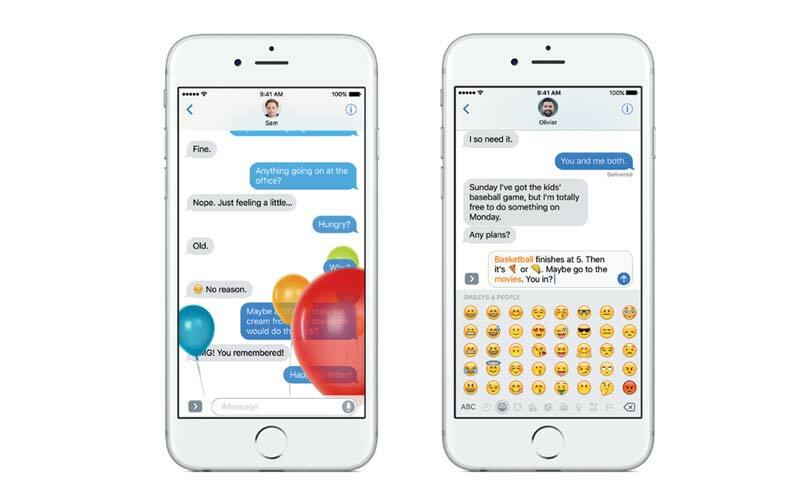 Apple changed a Message app to make your conversation more exciting. You will be able to add animations to your chat screen like balloons or fireworks to show celebration in chat. Animation take over entire screen and change a way to wish someone. The new message app will allow to send handwritten note. It will show words like they were written in ink. One can also send sketches and edited photos and videos too. 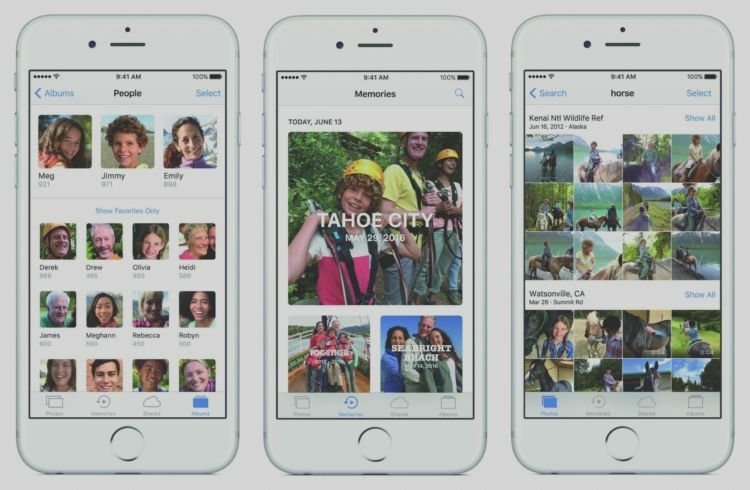 Apple made some spectacular changes to its built in Photo app. You don't need to worry about organizing your photos and videos. In the iOS 10 Photos app will have power to recognize face, objects, and scene by advanced machine learning technology. This app will tag and manage photos and videos automatically. Photos will be managed with new Memories tab. App will create albums by itself. This app will identify objects like mountain, cars etc and automatically put them in certain categories album.